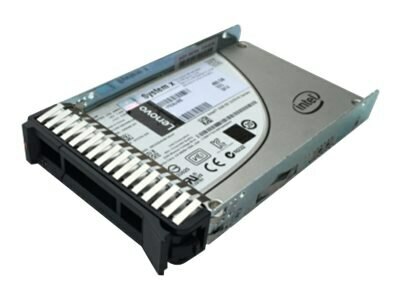 The 960GB ThinkSystem Intel S3520 SATA 6Gb/s 2.5" Enterprise Entry Hot Swap Solid State Drive for Lenovo SD530, SN550, SN850, SR530, SR550, SR630, SR650, SR850, SR950 and ST550 Servers uses 3D NAND flash memory technology with a SATA interface to provide an affordable solution with industry leading performance. It offers significantly improved endurance and lower power consumption. It is also optimized for read-intensive applications such as boot, web servers, lower data rate operational databases and analytics.